Have you ever found yourself thinking some sort of trendy new saying in the lexicon is kind of dumb - then soon enough you're saying it too? A recent trend lately is just shortening stuff. Ridiculous = ridic. That sort of thing. I think we can blame text culture. But, jeez, it's ridic when you find yourself using the sayings you disdain! How does this happen? Are we all going Stepford without knowing it? What is the world coming to? Mindless automatons! This really has nothing to do with this recipe. It's just a thought. They happen. In my brain. Let's get back to baking. Yep. The fall-winter pumpkin love affair is officially in progress. 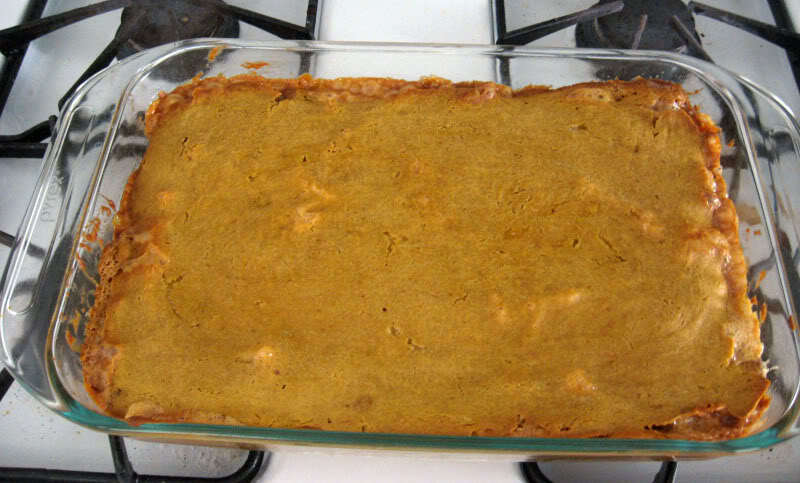 I've got another pumpkin recipe for you. 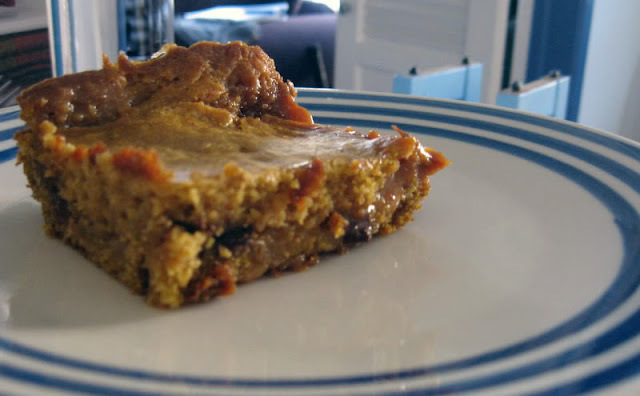 Alas, to me, this one is not as good as the coffee cake I made recently. Seriously. Go make that thing. But this is good too. It's less soft cakey, more like a brownie with a caramel filling. Which is what it's supposed to be - duh. 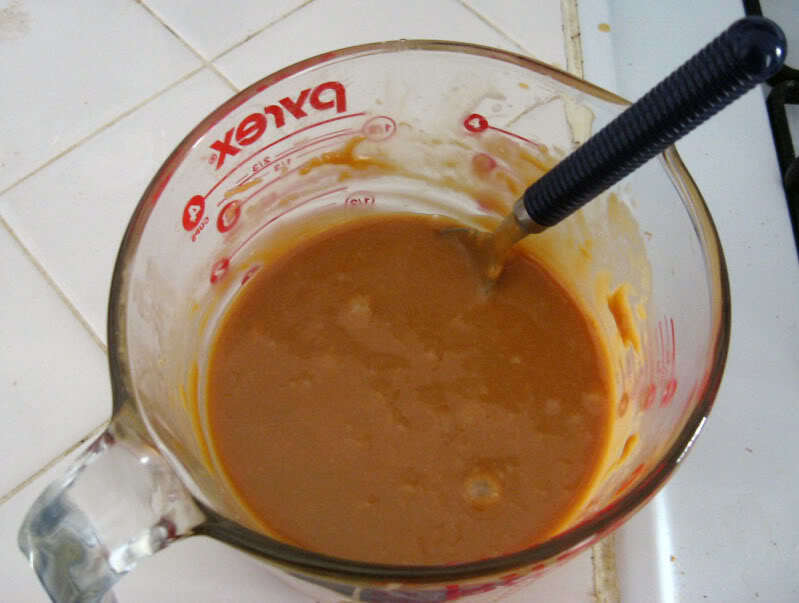 I think if you made your own homemade caramel, it might be pretty amazing. I didn't do that. Whoops. Preheat oven to 350F. Lightly grease a 9×13 pan set aside. In a large bowl, cream butter and sugar until light and fluffy. Stir in eggs, vanilla and pumpkin until combined. 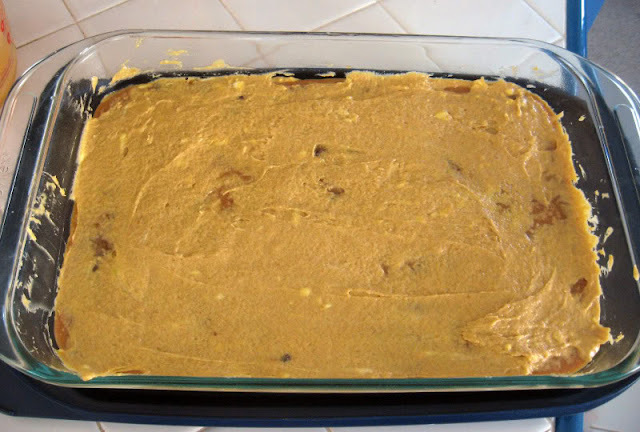 Slowly incorporate the remaining ‘blondies’ ingredients into the batter. Scrape sides of bowl and mix again briefly to ensure a smooth batter. 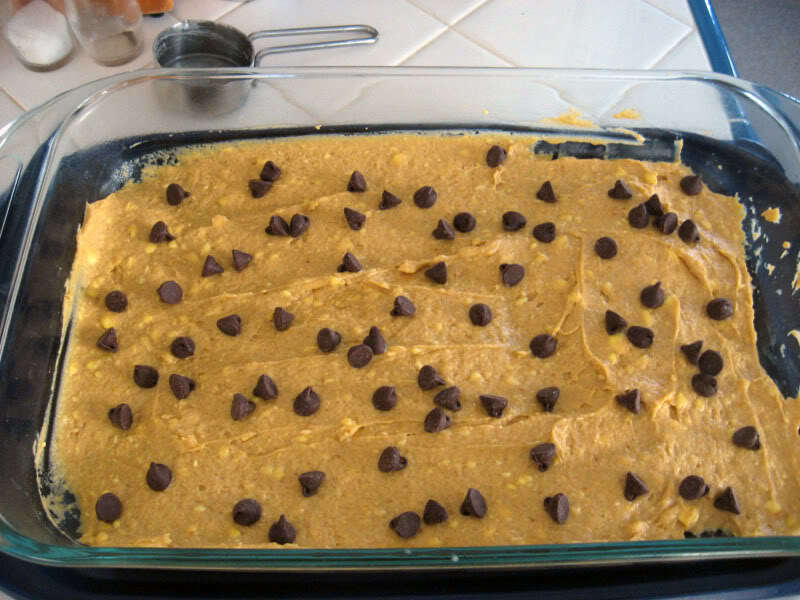 Spread about 2/3 of the batter evenly into the prepared pan. For the filling: Sprinkle chocolate chips over top of the batter. Place caramels and cream into a heat-proof bowl. 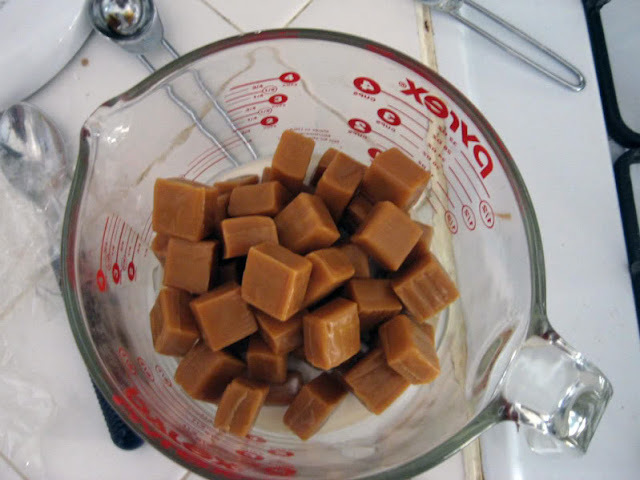 Microwave on high until caramel is smooth and completely melted, being sure to stir every 20 seconds. 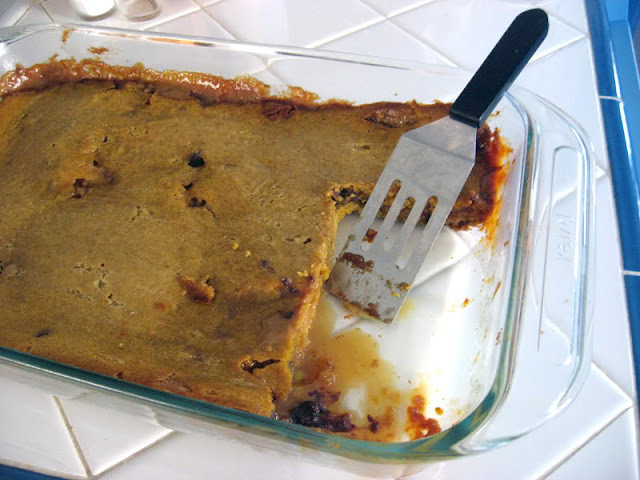 Stop as soon as it’s melted and smooth (or it will get weird and gross!). Batter all spread out. No photos of the making of the batter, because it wasn't pretty. I was using the remaining pumpkin pie filling and doing my own thing. I don't recommend it. Chocolate chips! The original recipe calls for nuts, but I wholeheartedly disapprove of nuts in baked goods. The most annoying part of this recipe? Unwrapping the caramels! Ooey gooey. This will take a couple minutes total to get done. Definitely make sure you stir every 20 seconds or so. Spread out the caramel layer. Oh look, the chocolate chips kinda melt and spread! 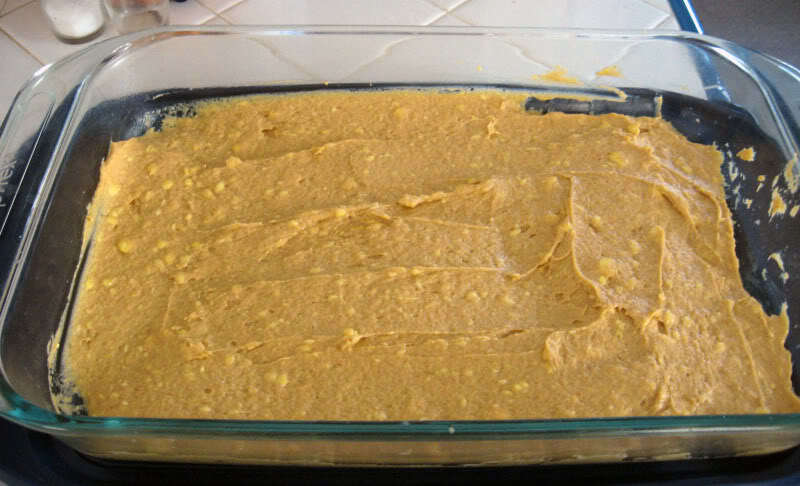 The final layer of remaining batter. As you can see, some caramel peeks through. It's fine. 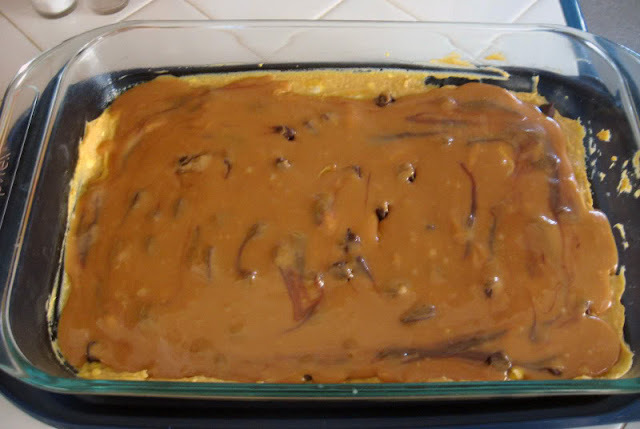 If you don't wait until it's cooled, you'll get a lot of melty caramel spillage. Grab yourself a slice. Would also be good with whipped cream or ice cream.